The role of the sedimentologists. Technician Chieh Peng maintains and calibrates essential equipment. JOIDES Resolution drills under the ocean into the seafloor to bring up long cylinders of material called core. Sedimentologists describe this core.There are two teams of four sedimentologists sailing with expedition 363. The team working from midday to midnight comprises of Brad, Sam, Takuya and Jong-Hwa. These teams are the first to look at the sediment after the core is cut long-wise by the technicians. One half is then used to take samples to work from while the other half is left untouched to be archived. The working half is visually inspected and described. 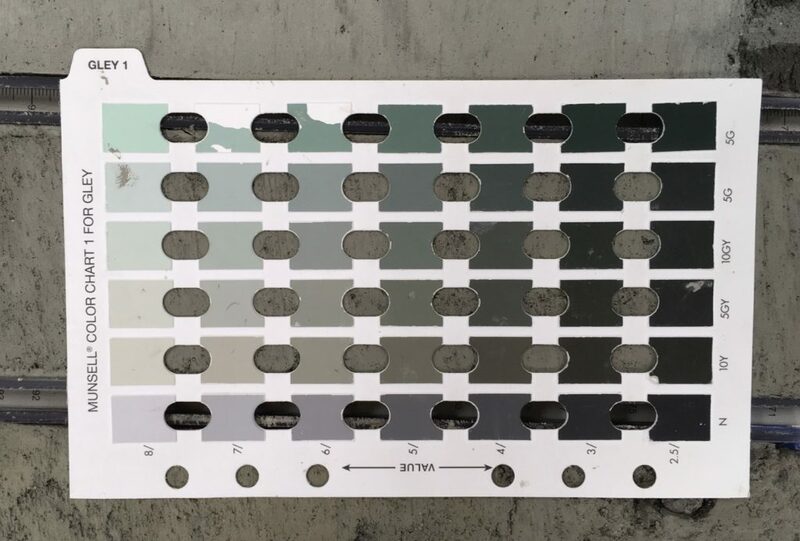 The sedimentologists do preliminary tests to determine the composition of the different layers of sediment and run the sediment through an array of machines that take very high-resolution photographs and determine the colour of the sediment. The scientists record visual descriptions of the core as well as quantitative measurements. To help determine the composition of the sediment a toothpick is used to remove a small sample. This sample is mixed with a drop of water on a microscope slide. Using a microscope the presence of different types of microfossils are established. Additionally the presence of minerals can be determined. A microscope with two polarizing filters is used for this. The use of polarized light can help determine the different minerals present. Light travels in straight lines and along a plane at right angles to its direction of travel. A polarizing filter only allows light waves on a small range of planes to pass through (imagine pushing a coin into a slot – the coin must be at the right angle to go through the slot). Many crystals turn the plane of light as it passes through them (like turning the coin so it is at a different angle). If you hold two polarizing filters at right angles to each other all light is blocked out. Light that can pass through one filter wont be able to pass through the other. However, if there is a crystal between the two filters and that crystal can turn the plane of the light then that light will no longer be at right angles to the second filter. This light will pass through the second filter. Light that has not passed through the crystal will not pass through the second filter, so the crystal will stand out against a black background. We can measure the angle through which the light has been turned. The amount it is turned depends on the composition of the crystal. The light is also diffracted so the apparent colour of the crystals can also be used to determine the minerals in the crystal. Once the minerals have been identified the scientists have to determine whether these were originally in the sediment when it was deposited or if they have formed as the sediment has slowly chemically changed. is sailing on board as one of the sedimentologists. His main interest in this expedition is to take foram samples back to Japan to enable him to determine the calcium to magnesium ratios of their shells(tests). The ratio of calcium to magnesium reflects the water temperature at the time when the calcium carbonate shells were formed. Takuya will be able to determine past water temperatures from these data. 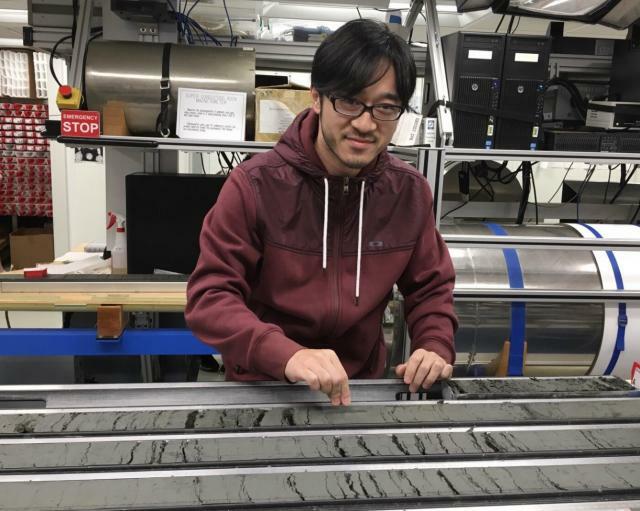 As a child Takuya’s father helped inspire his interest in geology, taking him out to collect fossils, and look at the natural world. Now Takuya lives in Kanazawa, a city in Japan, with his wife and two children of 8 and 3 years old. He lives 20 minutes from the sea so enjoys going with his family to collect shells on the beach. He also enjoys time in the park with his children. He has found his experience on the boat a wonderful opportunity to meet people of different backgrounds both culturally and scientifically. When he returns to Japan he is looking forward to going to the naturally hot springs near where he lives with his family. He especially enjoys this in winter when you can sit in the warm water whilst the snow is falling around you. Brad Linsley is also sailing as a sedimentologist. He has a great deal of experience in this field having had a long interest in deep-sea sediments. Brad was a professor at a public university … teaching and undertaking research for 16 years before more recently taking a post at Lamont Doherty Earth Observatory of Columbia University. There he runs the laboratory that specializes in the analysis of samples for stable isotopes. An element can have two or more isotopes. This means that although the atoms might be the same chemically they can have a different mass due to containing a different number of neutral particles (called neutrons) within them. Although these atoms behave in a very similar way the relative concentrations of each isotope in a given environment may change over time due to physical and chemical processes. These changes in ratios are recorded in the structures built by species in these environments. Careful analysis of these can reveal isotope ratios, which will enable scientists to determine past conditions. Brad currently lives in Manhattan with his family. He has always loved the ocean and as a child was able to play by the sea. 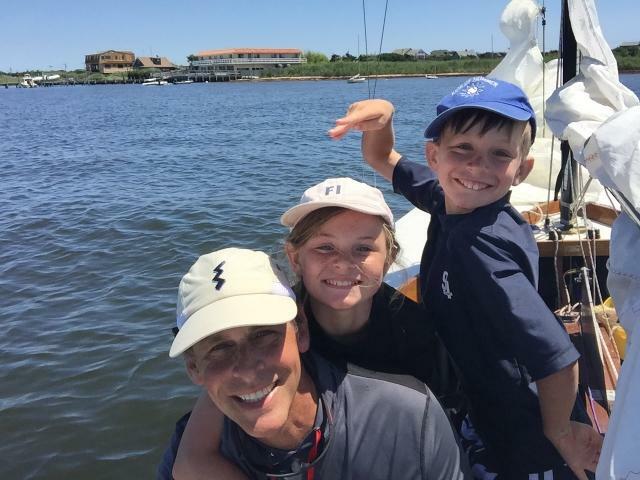 He enjoys going sailing with his wife and two children on their 19 foot sailing boat in the relatively sheltered waters of the Great South Bay near Fire Island, New York.